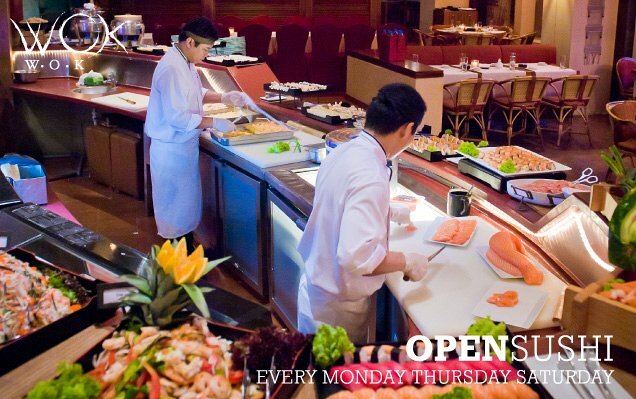 Join WOK W.O.K for open sushi nights every Monday, Thursday and Saturday and enjoy an exquisite sashimi, sushi and wild maki buffet. As well as the healthy miso soup, thai salads, steamed dimsums, and delectable crispy salmon. And to conclude your meal, a mouth-watering fondant and crème brulée. A special set menu for non-sushi lovers is also available.